Eli and the Hot Six with vocalist Rebecca Sullivan. Newberger is putting aside his stethoscope for the evening to wrap himself up in his beloved tuba and his passion for traditional jazz. On the musical side of his incredible dual career path, Newberger, who also plays jazz piano and keyboards, has appeared on 40 recordings and is a co-founder of and original pianist for the famed New Black Eagle Jazz Band. A longtime New England favorite, the band, which has been soaring since the early ‘70s, is internationally celebrated for its mastery of New Orleans jazz, gospel and blues. In his own distinctive way, Ted Casher on tenor saxophone plays “Body and Soul” in the classic Coleman Hawkins manner, using gruff tones and surprising intervals to paint his own dramatically lush portrait of the venerable ballad. Casher adds variety to the session’s already spicy mix with his sometimes klezmer-inflected clarinet, as well as with his humorous, Borscht Belt rendition of the Andrews Sisters’ World War II mega-hit, “Bei Mir Bist Du Schoen.” Although free of accompanying surreal sounds of gunshots, cowbells, whistles and kitchen utensils, Casher’s comic crooning is reminiscent of song spoofs unleashed in the 1940s and '50s by the irreverent bandleader/satirist, Spike Jones and his City Slickers. In an all-in-the-family note, Eli and The Hot Six Live is elegantly illustrated with striking images of the band members sketched by Newberger’s wife, Carolyn Newberger -- an award-winning artist, noted child psychologist and classically trained flutist. A researcher and teacher at Harvard Medical School, she is known for her groundbreaking theory of parental consciousness that continues to influence family studies and efforts to prevent child abuse. Her spare but evocative, graceful drawings recall the Golden Era of the vinyl LP when the high quality of an album’s artwork and graphics complemented the art of its musical content. Barrington Stage Company’s Mainstage is at 30 Union Street, Pittsfield, Massachusetts. Tickets: $45.00 and $35.00. Information: barringtonstageco.org and (413) 236-8888. 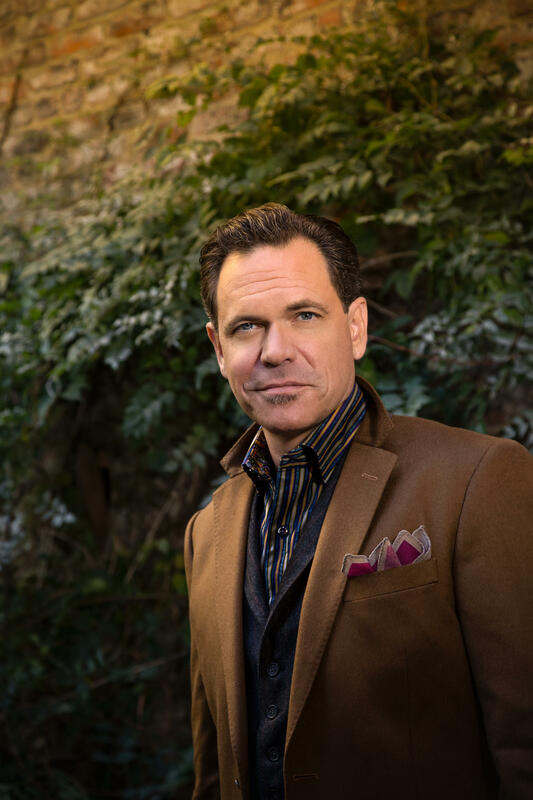 On tour promoting one of his most challenging recordings, the standout, constantly evolving jazz vocalist Kurt Elling performs with the New Haven Symphony Orchestra in a free concert on Saturday, June 20, at 7:00 pm as part of New Haven’s International Festival of Arts and Ideas. Elling, whose new, bold CD is called Passion World, celebrates his latest tour de force -- a collection of romantic songs of love and loss from around the world -- as he presents his wide-ranging, expressive artistry with the NHSO on the historic New Haven Green. On Passion World, the singer, who, for all the syllabic acrobatics of his scatting, is profoundly passionate about words, their meaning and poetic resonance, fearlessly sings a polyglot variety of songs of the heart in five different languages: Spanish, French, Portuguese, German and, of course, English. Never risk-averse, Elling also dares to tackle a stylistically daunting variety of pieces and vocal styles from around the globe. Odes to romance and love’s joy and sorrow, they range from Cuban composer Felix Reina Altuna’s potent mix of macho and vibrato on “Si Te Contara” to the traditional Scottish song, “Loch Tay Boat Song,” a lament on unrequited love, skillfully navigated by Elling with a little bit of help from Scotland’s stellar jazz saxophonist Tommy Smith and the Scottish National Jazz Orchestra. Elling pours his heartfelt passion and artful craft into his international repertoire rooted in romantic themes. The troubadour travels on his CD trek from U2’s humanitarian reflections on “Where the Streets Have No Name” to Brazilian singer/songwriter Dorival Caymmi’s festive “Voce Ja Foi a Bahia” in a breezy duet with singer Sara Gazarek. There’s even a stopover with German composer Johannes Brahms’ “Nicht Wandle, Mein Licht,” a German art song, or lied, leading him into the American art song form called the jazz ballad. As a word-addicted lyricist, Elling chooses as the grand finale for “Passion World” a poem by the great Irish writer James Joyce, “Where Love Is,” with music by the Irish composer Brian Byrne. For his concert on the Green, Elling will focus on material from his new CD along with tribute selections to mark Frank Sinatra’s centennial. To celebrate the centennial, the festival is hosting Sinatra: An American Icon, the official traveling exhibition of The 2015 Frank Sinatra Centennial. It’s free and open daily through June 27 in galleries at 1156 Chapel Street. 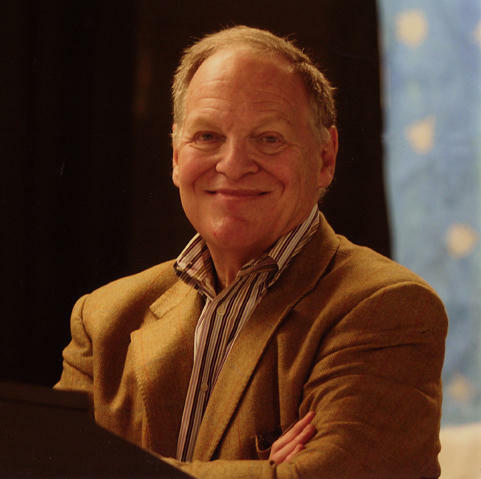 Elling will join a panel discussion on Sinatra’s wide-ranging musical and cultural influence on Sunday, June 21, at 3:00 pm in another free festival event at Yale University Art Gallery, 1111 Chapel Street. Among other expert panelists is Sinatra’s daughter Tina Sinatra. Information: artidea.org. 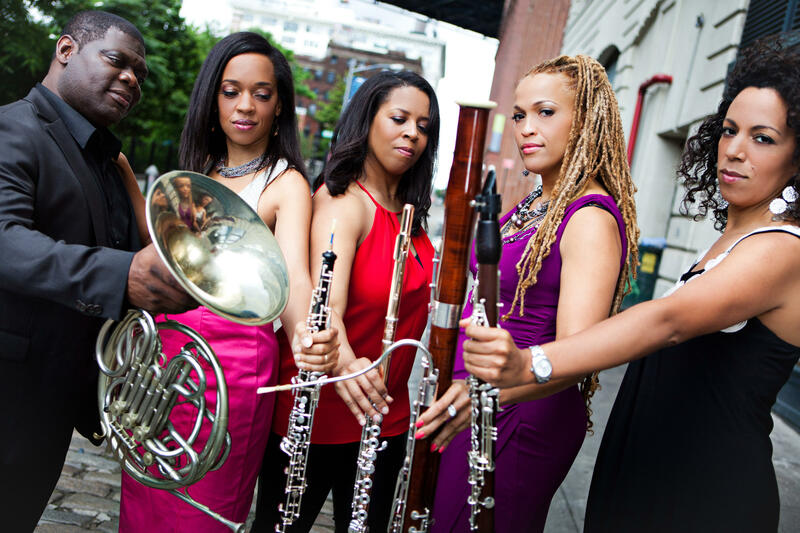 In another highlight at the International Festival of Arts and Ideas, Imani Winds, a premier wind quintet with a knack for innovation and an ecumenical embrace of everything from classical to jazz to contemporary, on Tuesday, June 23, at 8:00 pm, presents Passion for Bach and Coltrane at Long Wharf Theatre, 222 Sargent Drive in New Haven. The Grammy-nominated, globetrotting quintet, which has collaborated with artists ranging from Yo-Yo Ma to Wayne Shorter, will be joined by its special guests: the Harlem String Quartet, a jazz trio featuring pianist Alex Brown, bassist Lonnie Plaxico and drummer Neal Smith, plus readings by the noted African-American poet, jazz critic and historian, A.B. Spellman. Composed by quintet member Jeff Scott, “Passion for Bach and Coltrane” is inspired by Spellman’s poetry collection, “Things I Must Have Known.” Spellman’s poetry speaks to the mastery of Johann Sebastian Bach and John Coltrane and their shared quest for the sublime in their spiritually transporting works, as well as reflections on such supreme themes as religion and mortality. Imani Winds, a Grammy-nominated wind quintet. Spellman’s “Four Lives in the Bebop Business,” a much-revered classic in jazz writing, brilliantly profiles Herbie Nichols, Cecil Taylor and Ornette Coleman, and includes an early, invaluable portrait of Jackie McLean (1931-2006), the celebrated alto saxophonist/composer who lived in Hartford for many years. A former deputy director of the National Endowment for the Arts, Spellman was also a founding member of the influential Black Arts Movement. The evening opens with a 30-minute discussion moderated by music critic Steve Metcalf, who writes the weekly Metcalf on Music blog for WNPR, speaking with Scott and Spellman, followed by the performance of Scott’s work. Spellman, who writes poetry with its musical sound and rhythmic energies very much in mind, has confessed in interviews that he wishes, like so many of his fellow poets, writers and painters, that he were a jazz musician. Now in New Haven he gets to riff with his own inventive words as he sits-in with a world-class quintet playing music directly inspired by his poetic variations on grand themes, like Bach and Trane, that are so profoundly dear to his music-loving, writer’s heart. Advance tickets: $45.00 regular/premium $65.00; day-of-show, $50.00 regular/$70.00 premium. Information: artidea.org and Box Office: (203) 498-3772.